SpaceX boss refiled his SF-86 security form, which requires a federal employee or contractor seeking a clearance to acknowledge any illegal drug use over the previous seven years. 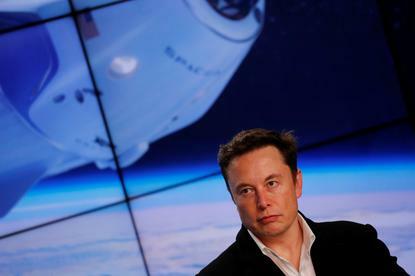 SpaceX Chief Executive Elon Musk's security clearance is being reviewed by the Pentagon after the billionaire smoked marijuana on a California comedian's podcast in September, a U.S. official said on Thursday. Musk has a security clearance as SpaceX provides satellite launch services to the U.S. government. An unmanned capsule from the company was due to return to earth on Friday after a short-term stay on the International Space Station, part of NASA's long-delayed quest to resume human space flight from U.S. soil later this year. "For privacy and security reasons, we do not publicly discuss individual clearance status," said Lieutenant Colonel Mike Andrews, a Pentagon spokesman. The electric carmaker's shares pared gains and were lower in late afternoon trading. Reporting by Akanksha Rana in Bengaluru and Mike Stone in Washington; editing by Sriraj Kalluvila and Bill Rigby.